Is SEGWAY HOVEBOARD – The best Hoverboard Ever built ? The best HoverBoard to be used today is the Segway HoverBoard. This is because it is built to easily transverse various types of outdoor & indoor terrains and has a lot of safety features in terms of longer battery life and higher speeds. 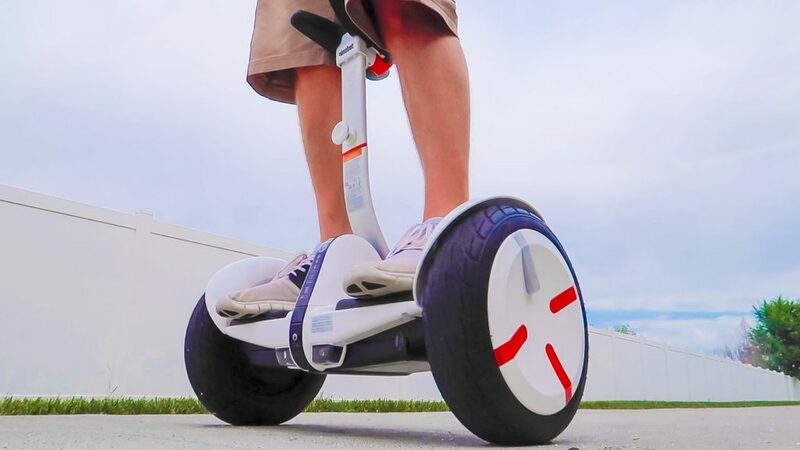 Segway HoverBoard is a self balancing, hand free electric personal transporter. The Segway HoverBoard is the 1st electric transporter to be rigorously certified/ tested to meet the highest fire safety requirements & electrical standards set by UL (Underwriter Laboratories). Unlike other HoverBoards, Segway HoverBoard does not require hours of training to ride like an expert. And also its one of the best self-balancing scooter of 2017.To simply the riding experience a lot of technical knowledge and skills have been used by the company in the manufacturing of Segway HoverBoard. The precision censors used in the device captures each and every body movement to make you enjoy a balance ride. The innovative knee control buttons allow its riders to maneuver more precisely & easily than 2 wheel hoverboards. The Segway HoverBoard rider experiences the ride just like he/ she is walking up the stairs that too hands free. The Segway HoverBoard model has high performance dual motor & 10.5” vacuum tires engineered to tackle road obstacles without sacrificing stability & safety. This HoverBoard is equipped with an engine that can traverse 15 degree slopes with ease & its 3.5 inch chassis turns bumps giving vibrations of a smooth ride to its riders. How to use the Segway HoverBoard? Before you get started make sure that your HoverBoard is fully charged. Keeping your board flat with the ground level to start a ride first of all put your right foot on the HoverBoard and within few seconds put your left foot forward as soon as the engine starts. Avoid over thinking (otherwise you may fall) and follow this step just like you are stepping on the stairs. To make this process easy, look in front (not down) & relax. Don’t start your ride if you are not in a comfortable made. Before starting try to loosen up. Once your ride is started lean in the direction in which you want your HoverBoard to move. Do not lean too much you may fall. Like scooters HoverBoard works in the same manner. To step off your HoverBoard, try to shift your balance to your dominant foot & then step off using your non dominant foot. Even if you feel like jumping off try to resist & control your movement to avoid injuring yourself.